2XU: Means twice as many people to run around in 21km | JustRunLah! Don't be KIASU in the 2XU. Running marathons and 1/2 marathons in Singapore is a love/hate relationship. On the positive side: they attract a huge amount of attendees which makes the event huge. On the negative side: they attract a huge amount of attendees, which makes the event huge! I love running in large events, I like the atmosphere. In Europe there are thousands of spectators, which makes it extra special. In Singapore due to the ungodly hour, the flag off occurs, any sane person is in bed, not supporting me sweat around 21km of compressed bodies. Therefore spectators are limited, so much so, that they often don’t even allow you near the finish line to watch! (Sundown take note). But who needs spectators when you have over 21,000 other runners to cheer you on, or play terrible music on Bluetooth speakers or entertain you with their inappropriate sudden stops to take yet another selfie of a km marker. This event was big, really big, which is not a problem normally, but the rather unusual first-come first-served method of start pen allocation at the 2XU meant that you had to be there 1.5 hours before flag off, for any chance of getting a PB. I’m not particularly fast and despite being at the start of pen three, I still had to overtake over 500 people to get to an area of free running. The positives. The bag collection was not as traumatic as many runs in Singapore, I personally don’t think anybody should queue to pick up a bib, T shirt and a pile of waste paper for a longer time period than it takes to run 42km! With only a 15 min queue for the race pack, I was pleasantly surprised. The course was very pretty, especially the run around the bay at the end, I thought they tried their best to come up with a good course considering they didn’t really close any major roads. The hydration stops were plentiful and the water was sometimes cold! Although I would question the sense in putting hydration point with 2km from the start – come on people, your muscles haven’t even warmed up by then! The points for improvement. The bottlenecks! Oh the bottlenecks. Come on 2XU, you make enough money from these events, close a couple of roads at least to stop crazy bottlenecks. On several occasions I had to slow down and even had to walk on two occasions to get through a narrow gap. Nobody should be forced to walk on a 1/2 marathon, that’s why we pay an entrance fee! Also don’t choose to put a hydration point at a narrow point in the course – that’s just asking for trouble! I appreciate that many Singaporeans take part in these events for the bling, we all love a medal or two and a 42Km or 21km finishers T is always useful for bragging without actually bragging (although that’s what you are doing). But can we please get the organisers of these events to stop loading the runner’s entitlements to such crazy proportions. 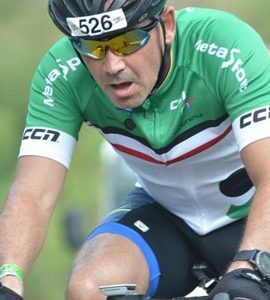 This event bagged you a vest, a polo shirt and a finishers T, all of which were not normal 2XU compression quality and I will probably never wear again. My wife and I probably do over 18 x half and full marathons a year between us, my wardrobe can’t take any more running gear! A runner’s entitlement should be hydration, a closed road or two, quality timing chip and maybe a medal. Stop telling us the vest you give us is worth $49, it’s not, it’s mass produced and not to your normal brand quality! Rant over. Finally a plea to fellow runners. I am a big believer in taking part. Every top marathon runner started off with a 5km jog. It’s the taking part that means something, you will never be the fastest (Mo Farrah this was not aimed at you). However, PLEASE, if you are going to walk, or stop for selfies, move to the left, before you slow down. It will stop a little bald 49 year old man piling into the back of you at speed! If you are doing the run with a group of friends and are going to walk any of the route. DON’T walk in a line across the route, unless you don’t mind runners smashing into you and knocking your phone out of your hand mid-selfie. These are simple request that reduce congestion and make everyone enjoy the event that little bit more. Don’t be KIASU in the 2XU. Overall, one of the better runs in Singapore. We rarely do the same runs twice in Singapore, preferring to travel to Europe or elsewhere in Asia (too many wonderful runs in too many wonderful places to do the same one twice) but I would consider the 2XU again next year, sort out the start pens, widen the course and reduce the T shirt allocation and you have a deal, Mister 2XU. 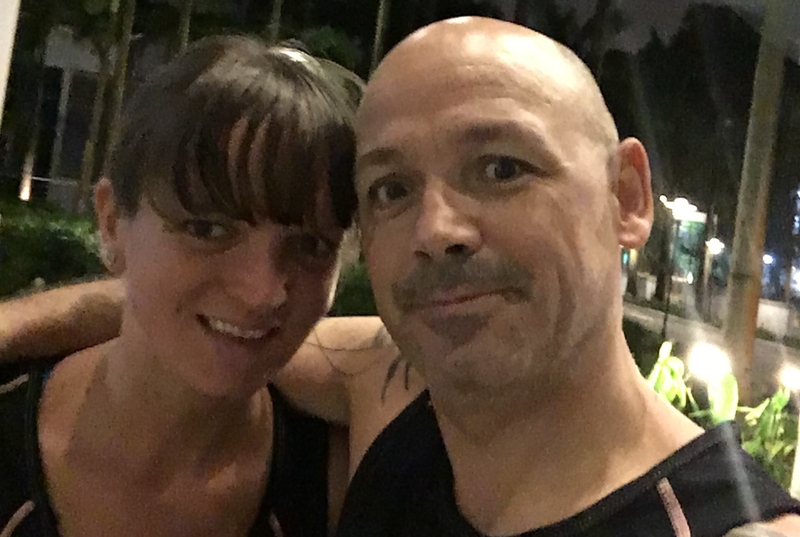 BIO: 49 year old immigrant from the UK that now lives in Singapore with my wonderful running partner and wife, would be a fantastic runner if I would just train and stop drinking beer! Click here for more post from Nigel Dawson. Aha, there you are, the culprit of all the abrasion and bruises on my arm, i ran all the way without stopping still get scratched by aggressive runner. Please think of the other side where all these runner entitlement encouraged more ppl to join and it may be the chance for them to start leading a healthy lifestyle. Personally I manage to so called “lure” lots of my friend to join the run despite this is the first long distance run they have ever joined. I don’t see it as a problem here. However i did agree that the road needs to be widen and there is some muddy patch whereby we need to tiptoe-ing to get past. As for the comment “kiasu”, what i can say is to embrace it as part of the marathon culture here, like how some runner ran past and spilled that water on other runners, people deal with that too. Double thumbs up for your review! I can’t agree more and thank you for sharing.